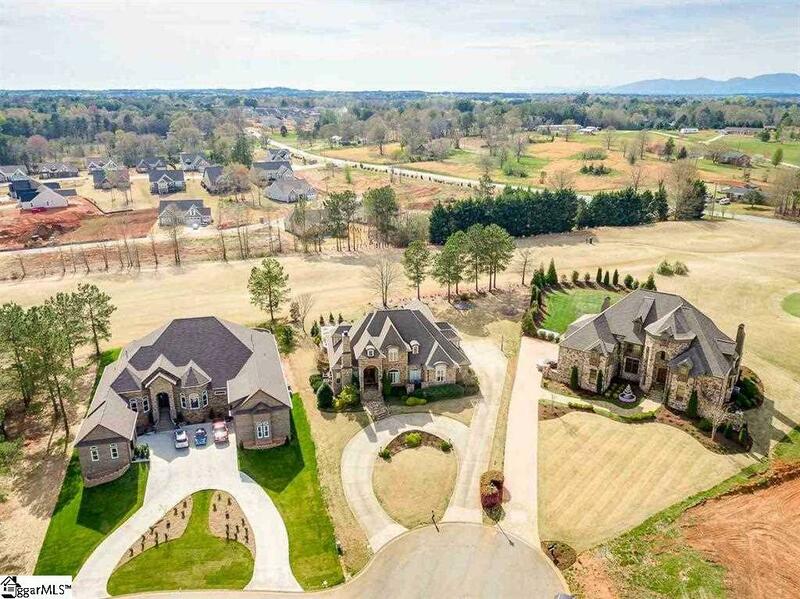 Situated on the second fairway in The Creeks at Woodfin Ridge, this custom built home is golf course living at its best. 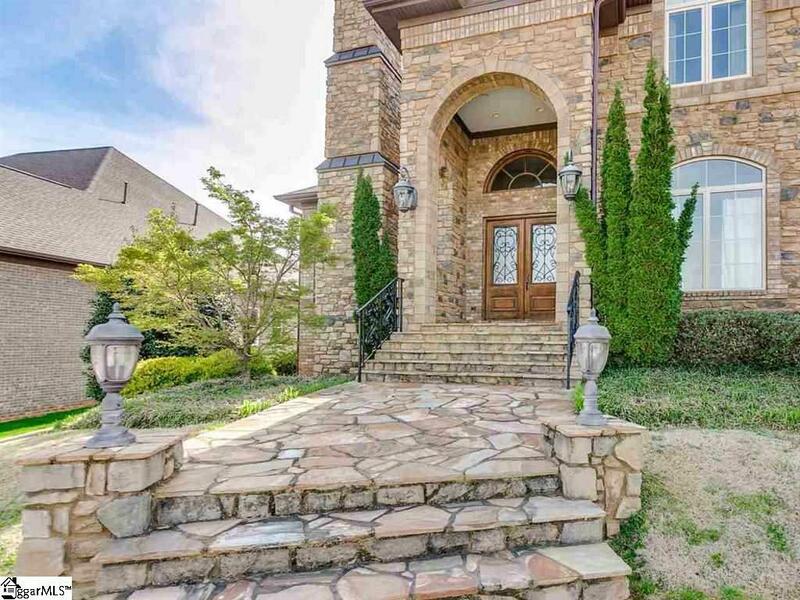 From the moment you pull into the circular driveway, you will be impressed with the curb appeal of the this European style home. 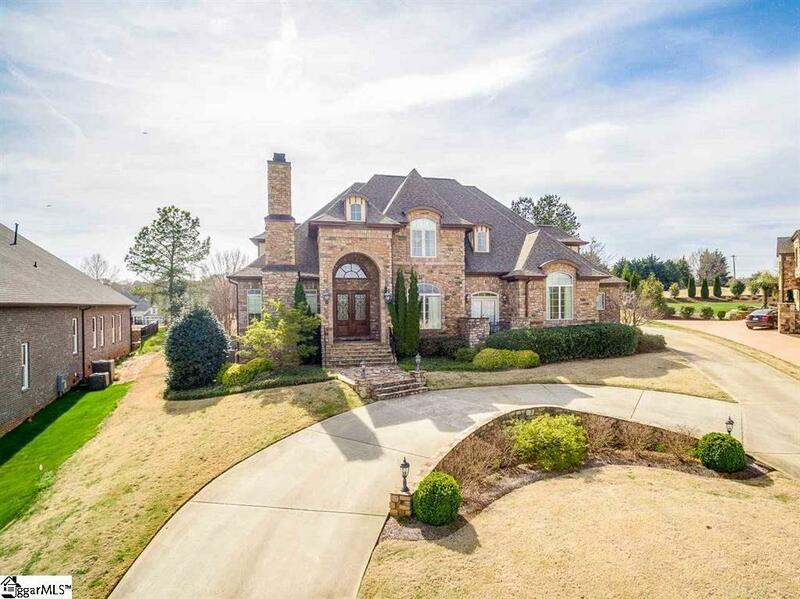 This exquisite home features plenty of space with 4 bedrooms, 3 baths, and two half baths inside the home. 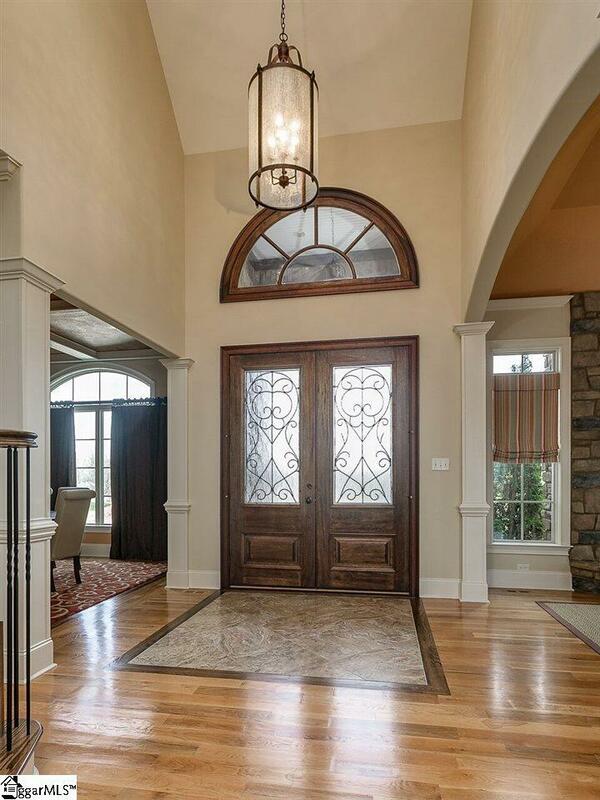 Luxury awaits as you open the double entry doors with marble inlay flooring. It opens to the dining room with coffered ceiling and a sitting area with a stone fireplace and gas logs. Gorgeous hardwood floors flow throughout to the great room with beautiful built-ins. The gourmet kitchen features tile flooring, quartz countertops, custom cabinets, and stainless steel appliances including a steamer, and a walk-in pantry. The master suite is on the main level with custom ceilings, a 10x11 sitting area, and French doors leading to a walk-out balcony that is the perfect spot to enjoy your morning coffee. The master bath contains a large tile shower, garden tub, his and her sinks, and custom closets. Upstairs you will find the guest bedrooms. Two have a shared bath and one contains its own bathroom. There is also an office with a half bath and a HUGE bonus room. Off the bonus room is a screened porch that captures panoramic views of the golf course and mountains. Storage is no issue in this house, as there is a finished, cedar lined attic room over the bonus room that is heated and cooled. Outdoors, you will find a spacious three car garage and separate golf cart storage. The owners have created an oasis with a gorgeous Ozone /UV salt system pool, stone patio, and outdoor grilling station. They have added a half bath and outdoor shower to round out the perfect day by the pool. As if all this wasn't enough, the owners put a lot of thought and effort into making a healthy "green" environment. A few of these features include, a preventative radon system, cellulose insulation, and an Aqua sauna water filter for the whole house. Don't miss out on your opportunity to call this piece of paradise home! Call today to schedule your private showing.